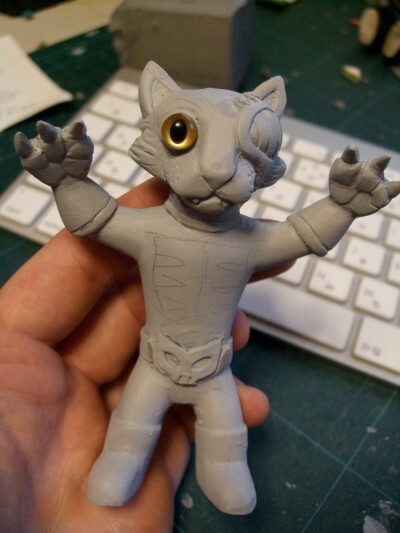 toybot studios: Galaxy People new sculpt preview..! Personally my favorite Galaxy Person yet...! Can hardly wait to see the final results. Hoping for more of that clear, inserts, painted action...! I said a while ago, elsewhere, that the Galaxy People universe was missing two major elements- big cats and radiolaria. Well, here’s what I’ve been working on- satisfies the first requirement. Actually it’s not even 3/4 finished really. When I’ve got the outside done I’ve got to start on the insides. Think Griffin’s neighbour’s cat!